Ettie Virginia (Jacobs) Miller died February 10, 2019 at the age of 81. She was born June 8, 1937 to Henry and Mary Ettie Jacobs at Hornsby, Tennessee. Virginia married Steve Miller on July 1st, 1955. They were married for 48 years until Steve’s passing June 12, 2004. Virginia loved the Lord! She demonstrated that love in many ways. 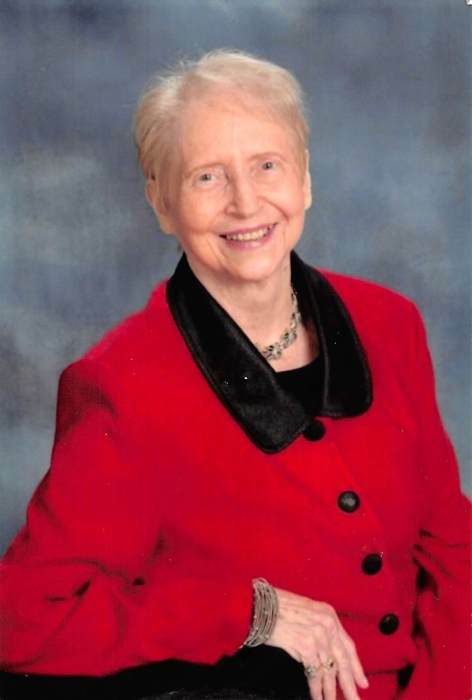 She was one of the founding members of the Golden Years program at West Side Church of Christ. Virginia was a great cook and she loved organizing and cooking for the Golden Years program. She served in this ministry for over 36 years. Virginia also served at the Welcome Center at the church for ten years. She modeled the Proverbs 31 woman daily while making sure her boys were in church from birth. She loved her family! She demonstrated that love by taking care of her two sons. She cared for her mother and her mother-in-law until their passing. She loved and provided unwavering care to her husband, Steve, as he fought and eventually lost the battle to cancer. She loved her brother and sisters dearly. She was always ready to help and love on her family! Virginia is survived by her two sons; Steave Miller and wife Brenda of Searcy, Keith Miller and wife Tonya of Searcy, five grandchildren; Kent Miller (Jennifer) of Searcy, Kaitlyn Miller of Maumelle, Sarah Kitts (Stacy) of Searcy, Abby Miller of Searcy, J.R. Miller (Morgan) of Searcy, six great-grandchildren, one brother; Henry Jacobs (Linda) of Finger, TN, two sisters; Connie Cornelius of Middleton, TN, Bonnie Veach of Middleton, TN. Virginia was preceded in death by her husband Steve, her parents; Henry and Ettie Jacobs, and her sisters Dorothy McCollum, Mary Pickard , Marie Green, and Gracie Robinson. The family will have a memorial service 2:00 p.m. Wednesday, February 13, 2019 at West Side Church of Christ with a visitation beginning at 1:00 p.m. The family wishes to extend their appreciation of the outpouring of your prayers, love and support during this trying time. The family would also like to say thank you to Arkansas Hospice. In lieu of flowers, lasting memorials may be made to West Side Church of Christ Golden Years Program or Arkansas Hospice.